The main theme of the conference is ‘Utility, Progress and Technology’. The conference is supported by the DFG (Deutsche Forschungsgemeinschaft), the Institute of Technology Futures at KIT, the private Kursbuch Kulturstiftung foundation as well as the recently founded German Society for Utilitarian Studies. Local hosts are Michael Schefczyk and Christoph Schmidt-Petri. Dieter Birnbacher (Düsseldorf University) will deliver a public lecture on July 23 (in German, English text will be provided). There will be a summer school for students (undergraduate as well as postgraduate) on July 22-23, just before the conference. The summer school is only open to students who have gone through the selection mechanism earlier this year. The faculty of the summer school will be Roger Crisp, Julia Driver, Anders Sandberg and Ulla Wessels. 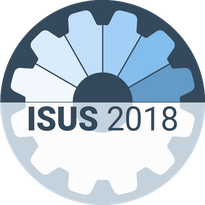 Participants of ISUS 2018 are welcome to join any of three workshops on July 27-28 also held at the ISUS conference venue at KIT. For more information on the Satellite Workshops, please click here.